It’s the first system in middle east that provides security and safety for students during the daily tours, and other activities, where the system offers many features and characteristics that serve the school and parents , that the system includes full control over the fleet of uses at all times, full control by locating the us directly with real accurate timing at any place through the use of the latest equipment and techniques of the GPS. The parents could know where the bus of his son is located,either from school or to school, or in any area, only with one button in the application that displays where the bus 99% accurately is on the map and a satellites image with all reacted details, this options provides parent’s the sense of security and confidence and to be directly addressed of problems that could occur in case that some parents out of their homes or engaged with some important business and need to know the details and time of their student arrival or place. The parents easily can determine where they want the system to notify them when the bus enters an exact location so Automatically the system send a message via your application to your mobile device notifying the parents about the near the arrival of the bus to take the students from home or to be back to home, this to ensure the synchronization of the presence of the student with the arrival of the bus so this will have more security and time management and can solve completely the long waiting problem, especially in hard weather conditions and this can ensure not to lose the bus. bring the student and this will eliminate of the noise and delays in the morning. The system will send a message to the parents upon the arrival of the bus to the school and this will achieve a sense of security to the parents about the attendance and safe arrival of their student to school. the school day.and efforts for parents and eliminate the big number of cars that block the street and entrance of the school, that is always happening at the end of the school day. 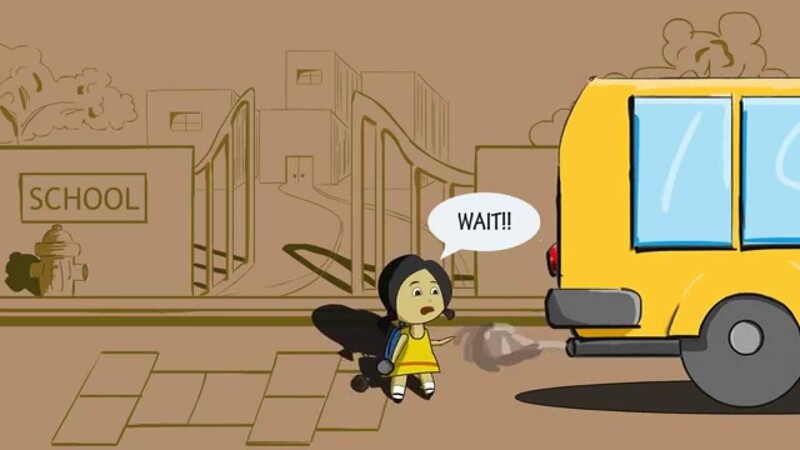 Parents and through the application can have direct communication with the bus driver or the traffic officer in some special and emergency situations. The system provides SOS note feature so that the student at any time can send a SOS note to the parents through the phone system that shall send a notice to the parents the exact place of the student 100% accurately. - The parents could know where the bus of his children is located. - The parents easily can determine where theywant the system notify them. - message via your application to your mobile device notifying the parents about the near arrival of the bus. - The system provides SOS alarm for children. - Same points that is provided to the parents, in addition to the following. - The system provides various reports and can send notices in case that the bus went out of the specified route area. - The system provides reports and in case of exceeding the speed limit. - The system provides the possibility of follow-up buses at all locations and times and in optional trips. - Fleet Management and Reports system. application or by downloading the files. how much a student›s readiness for the exam. role of the parents in the educational process. To send a request to reserve school seat. The option of online payments. subscription for the new year. center to monitor the health of the student. evaluate the therapeutic measures for students and the number of visits. homework through working it all directly through the application or by downloading the files. analysis data to print out multi reports. directly, in very easy, safe, and fast method.